An assembled EQUiSat posing for the camera before heading off to testing. A lot has happened in the past semester at Brown’s fledgling space program. 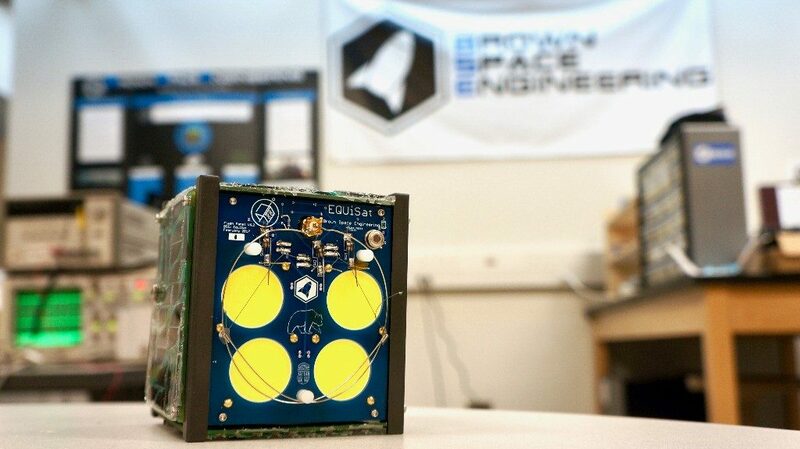 Since our last newsletter, we’ve put together EQUiSat, performed comprehensive vibration testing on the assembly, and launched our first high altitude balloon with a 360-degree camera. To get all of this accomplished, we had to come back from winter break and hit the ground running; this could not have happened without your help, as we successfully fulfilled our winter fundraising goal of $5,000 through personal donations and company matches. We thank you for your generous and continued support of the team. The success we achieved this past semester did not come without several typical engineering challenges. We encountered misaligned magnets, a compromised CAD, and a few unexpected, sudden design modifications. At the start of the spring semester, we recognized the need and urgency to complete a preliminary vibration test before June to allow us to meet the delivery deadline to Nanoracks in February of 2018. United Technology Research Center (UTRC) was generous enough to provide us with the facilities necessary for vibrating the satellite at levels slightly higher than what we expect to encounter during the launch to the ISS. The goal of this test was to validate EQUiSat’s mechanical design and allow us to focus on testing its integrated functionality. To have the satellite assembled in time for our testing day in April, we burned the midnight oil with a marathon 14-hour assembly session. Unfortunately, once we arrived at UTRC, the technician pointed out that our testing fixture, which was made out of sheet metal, would actually amplify the vibrations and cause unnecessary harm to the satellite. Luckily, we still had time left in the semester to design a new testing fixture. With the technician’s guidance, a more robust assembly was designed out of a strongbox and insulation foam. The week before graduation, our technical lead, Ryan Izant, was able to travel to Haverford to complete the testing. The assembly performed quite well, as only a few stray nuts and some loose solder joints were found. This unprecedented achievement for BSE marks an important milestone for the club before the delivery of the satellite next February. This coming fall, we plan to to put the assembly under thermal vacuum testing and start research on our next satellite. We are still in the process of finding a testing location–any advice or suggestions would help us greatly. 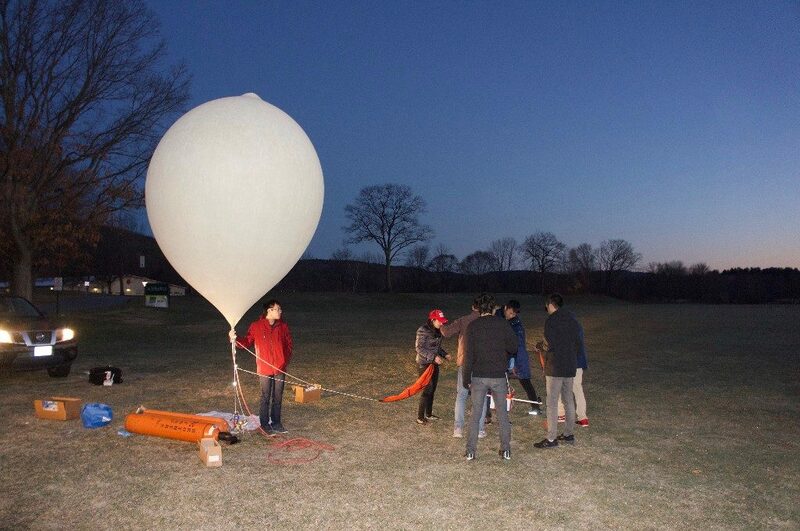 R&D team preparing the balloon for launch at the crack of dawn. 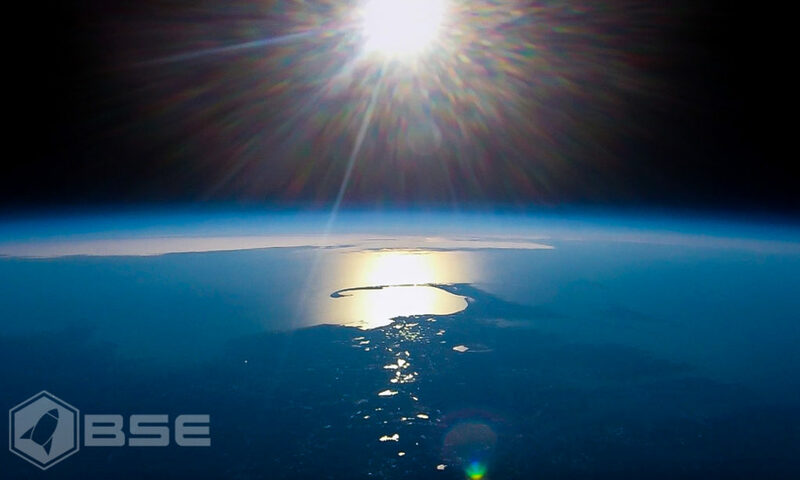 Photo of Cape Cod taken from the edge of space by a camera on the R&D team's high-altitude balloon. 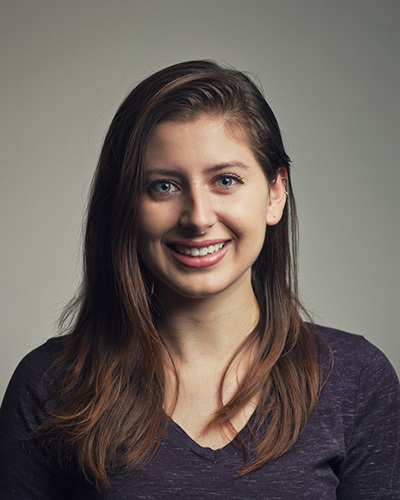 As a rising junior who just declared her concentration in Engineering Physics, Hope has been a dedicated member of EQUiSat’s power team since October. In this time, she has been building the solar panels. While learning the intricacies and precision needed to manufacture the panels was challenging at first, Hope has excelled in her new role, becoming an invaluable member of the team.